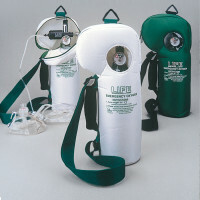 20"x6-3/8"x9" Life OxygenPac, 6 LPM fixed-flow (standard), 16 lbs., hard case, 1 ea. 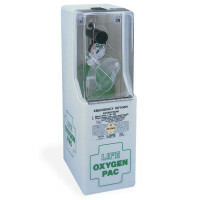 Simple On/Off Control Lever, 90-minute oxygen supply, refillable by any compressed gas distributor. The Life OxygenPac provides supplemental oxygen as an inhalator for breathing victims and a CPR resuscitator adjunct for a non-breathing victim. Features a Life Mask for "mouth to mask" resuscitation with one-way valve. Portable or wall-mountable. Hazmat shipping fee of $35.00 is included in price, per unit. 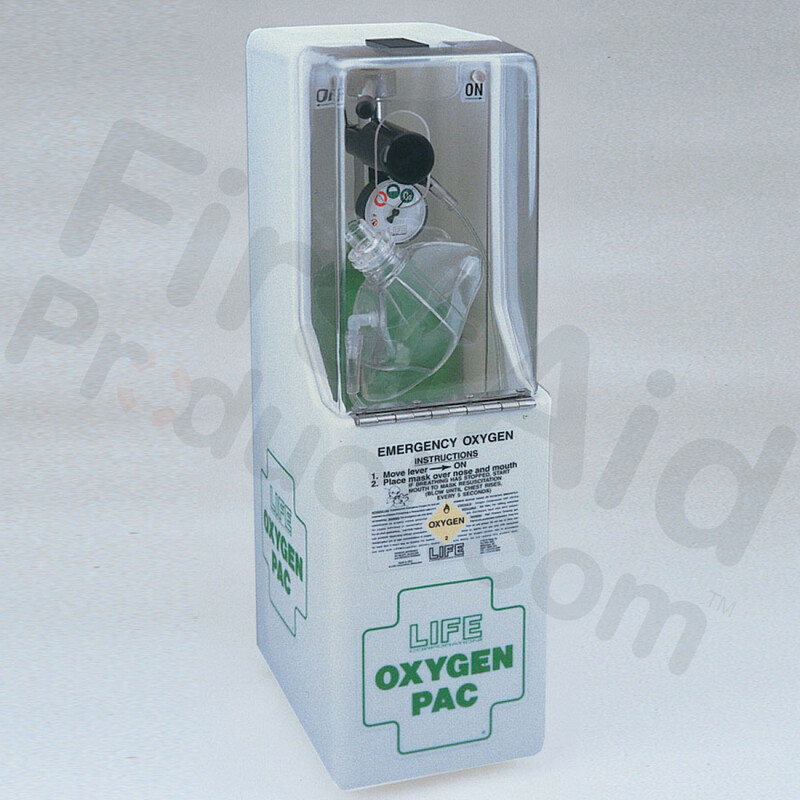 OxygenPac - 6 LPM - Fixed-Flow.